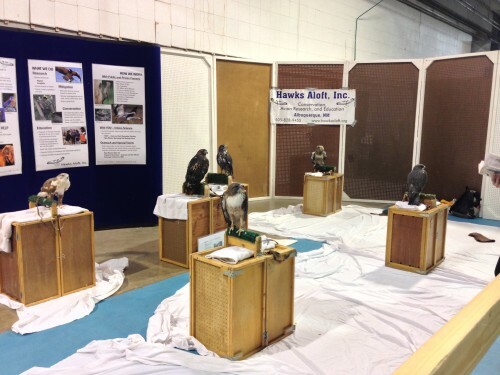 Community Outreach /Hawks Aloft Inc.
As an active participant in our community, we are often invited to community events all around New Mexico and its neighboring states. Such programs encourage people to make positive environmental choices and conserve New Mexico’s unique natural heritage. Depending on the size of the event, we take somewhere between two to fifteen educational raptors to help the cause of the event and promote environmental awareness. All of this work cannot be done without the help of our spectacular volunteers. Click here to schedule and outreach event. Whether the event is indoor or outdoor, our booth events are flexible to match your requests. For outreach events within Albuquerque metropolitan area (within 50 miles of Albuquerque), event fee is $300 for an all day event. If farther than 50 miles, the fee is $300 plus round-trip mileage ($0.56 per mile). We will bring at least two birds to the event, along with two to three volunteers. 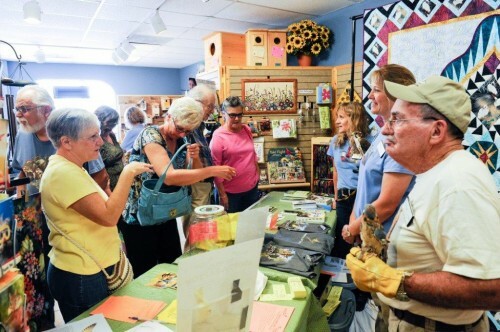 The birds will be on display and event attenders can approach the birds and the bird-experts to chat up their bird stories and purchase merchandise which will directly help the organization and our birds. Note: If you would like us to be there for part of the event, please note it in the Special Instructions section and for input the time you would like us to be there for the Event Time.